We build innovative technology solutions, such as our FlashPoint IQ platform, to create immersive training experiences for our clients. Our passion for pushing the boundaries of what’s possible in the immersive simulation space is enabled by our talented team of instructional designers, producers, game designers, artists, engineers, QA engineers, and program management individual. They are the key to our success. CreativeSims was created to bring our immersive training platform and next generation training solutions to the commercial market. CreativeSims was born at Creative Veteran Productions, a cutting-edge training development and delivery organization focusing on the government sector. CreativeSims was the result of the spin-off of our immersive training technology, with the purpose to bring it to the commercial sector. With this innovative technology, comes an award winning, dedicated and innovative team of industry veterans. Since our spin-off our team has propelled the original game management system, into what is now FlashPoint IQ, a collection of technologies that helps us deliver immersive training solutions at a quarter of the cost. 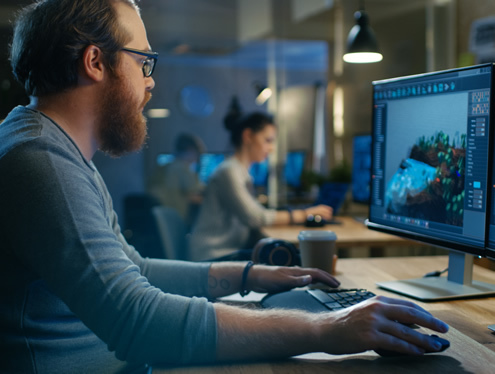 CreativeSims maintains a strong connection with Creative Veteran Productions, by collaborating on existing commercial and government contracts, which have delivered over 750,000 hours of immersive training, to hundreds of thousands of users in both the government and commercial sectors. CreativeSims was created to bring next generation immersive training solutions to the commercial market. With our innovative technology, comes an award winning, dedicated and innovative team of industry veterans… the engine behind our success. CreativeSims collaborates with Creative Veteran Productions, on existing commercial and government contracts, which have delivered over 750,000 hours of immersive training, to hundreds of thousands of users in both the government and commercial sectors. If you’d like to find out how we can help you with your immersive training needs, or simply have a question about our products and services, please contact us.